This means that PushConnect is unable to contact our servers, and needs to be restarted. Open the Startup folder. Inside it should be a shortcut to PushConnect. Orange: PushConnect requires a Push Operations login, or there is no internet connection. Double click on the "P" icon. Enter your Push Operations email and password information. At this point, you can close PushConnect. Green: PushConnect is online and the Pos page on Push Operations should see a Last Synced in the next minute or so. You can return to the website to send Commands. On rare occasions, you'll see that PushConnect has been checking in with our servers, but either Commands are getting stuck anywhere between 0% and 100% with partial success. The easiest way to troubleshoot this is similar to 1. listed above. You (or someone at the location) must have access to the POS machine. On the bottom right of the Task Bar, and you should see PushConnect's trademark Green "P" logo. Click on Restart PushConnect. Wait a few seconds for the icon to return to the System Tray. Go back to the POS page on Push Operations, and attempt your Command again. 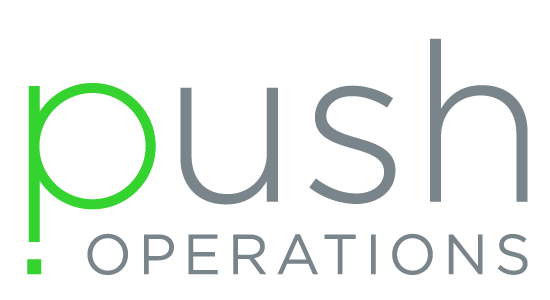 If you are still encountering issues, please contact the Push Operations team at support@pushoperations.com, (604) 375–7599 or toll free at 1 (800) 449-9756.